Stereo Tiger: More Great Rockin’ Pop From Michigan | Pop That Goes Crunch! I wrote recently that some of the very best music these days comes to us from the state of Michigan. Indeed, artists based in the state liberally populated my year-end “best of” lists for 2014, which you can peruse here, here and here. This month brings yet another fine offering from the state in the form of Stereo Tiger’s debut long-player (they previously released a pair of EPs), Two Weeks. This will easily make my year-end list. In fact, it likely will make my Top 10 since it is hard to imagine that ten LPs will be released this year offering a better combination of songwriting, vocals, musicianship and production than Two Weeks. Stereo Tiger is less than two-years old, having emerged from a series of impromptu jam sessions involving three of the four band members. Nevertheless, Two Weeks reveals a band with a great deal of self-assurance. Instead of starting the festivities with a rousing, upbeat number designed to hook the listener immediately, Two Weeks begins with the slow burn of “Magic Balloon,” whose soaring harmonies perfectly compliment its psych-rock underpinnings. Distinctly 70’s-styled keyboards announce the next track, “Perfect World,” a bit of (almost) lite rock that would be a massive hit in a more perfect world. The hits don’t, however, stop there. “Philly Girl” sways along brilliantly, and seemingly without effort. “Did You Ever Love Me” is a hook-laden rocker about romantic disappointment that will have you singing along immediately. 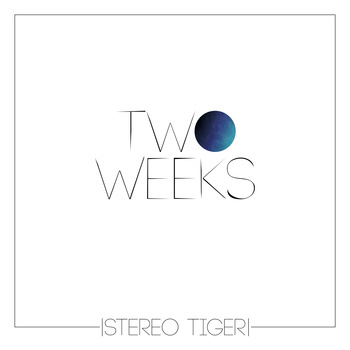 Two Weeks closes with an aching ballad, “I Do I Don’t,” which underscores Stereo Tiger’s fluency with a broad range of sounds and textures. The thirty-eight minutes of music on Two Weeks fly by in what feels like a couple of moments. Nowhere near a bum track is present in the eleven-song collection. Sonic kudos also are in order for Andy Reed and Glenn Brown, who recorded and mastered Two Weeks, respectively. Not only does Two Weeks sound great, but the music goes bang when it needs to go bang, and pulls back nicely when a more subtle attack is in order. All I can say at this point is: Run as fast as you can and get Two Weeks now, either here or here. Check out their prior two EPs, either on their site or Bandcamp. Pretty good as well.